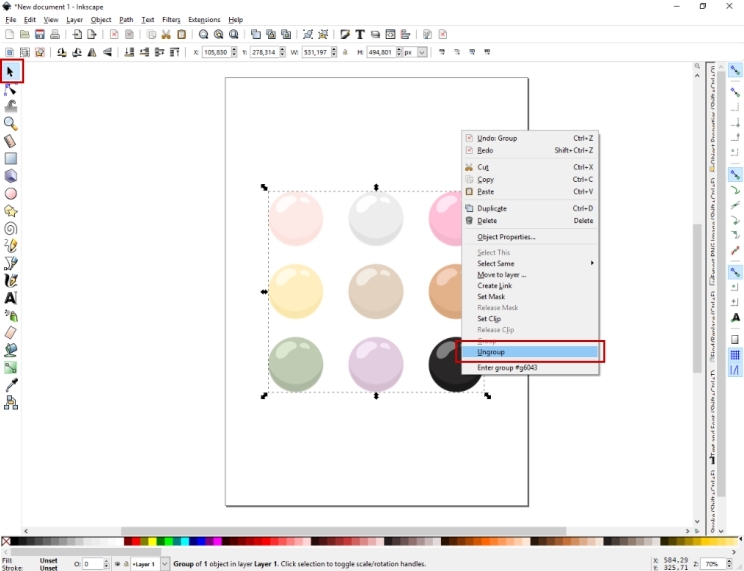 CATEGORY: All, How To (Inkscape/PowerPoint) &vert; AUTHOR: Svetlana I. Every package downloaded from VectorBeads store contains vector files as well as png files. 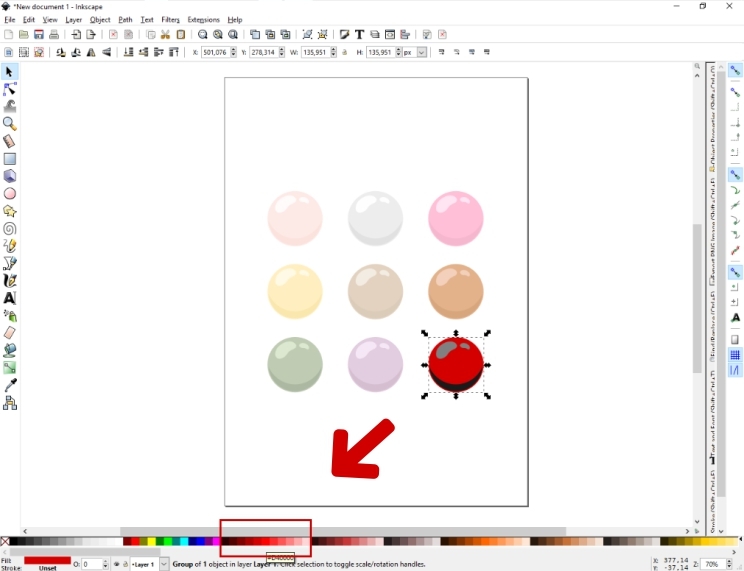 If you want to manipulate with colors, use only vectors because the png’s are raster images and you can not recolor them by using vector software like is Inkcsape (learn more about vectors here). One of the easiest ways to recolor vector objects imported in your Inkscape document is to select an object with the Selection tool > Ungroup the elements > Select the part that you want to recolor > Click a swatch to change its fill color (see the screenshots below). 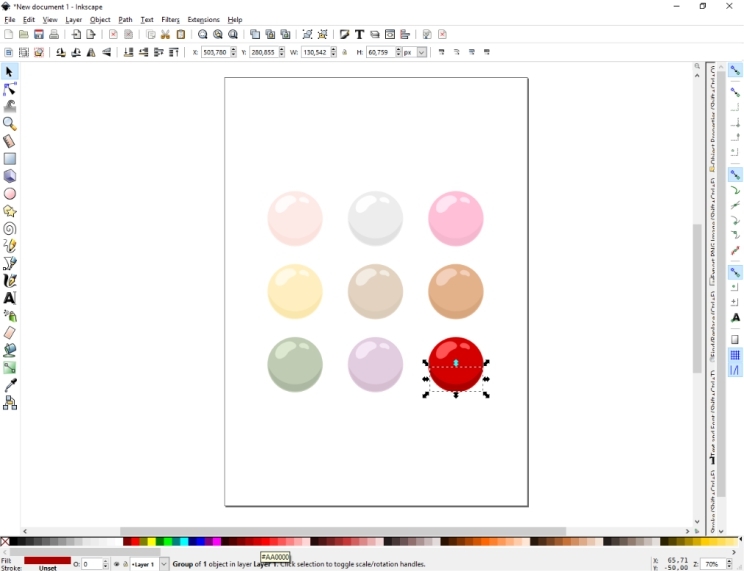 Vector beads used in this tutorial can be downloaded Here.